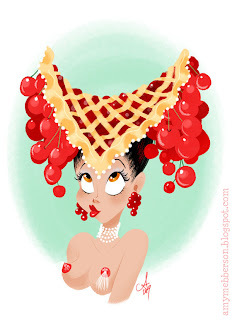 A little showgirl expresses her love of cherry pie. And i express my love for showgirls and cherry pie! Great convination!! Seriously, very beutiful and creative, love the idea! Aw, this is adorable! I love that hat! "Tastes so good, make a grown man cry..."
BRILLIANT!! 'Tis a delicacy, indeed! how are you so good?! love it! 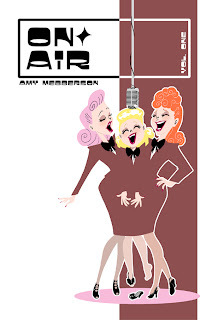 whos ur inspiration for drawing amazing pin ups?